Student groups perform experiments at the Harlem DNA Lab. My first “Science in the World” report combines two stories into one. It describes a fairly new method, known as DNA barcoding, that uses genetic information to identify any living thing, and presents possibly the most exemplary citizen science project that I have encountered so far. When I was a volunteer at Genspace, the molecular biology laboratory open to the community in Brooklyn, New York, we organized “PCR & Pizza Open Nights”. PCR stands for Polymerase Chain Reaction, a method used to make many copies from a single fragment of DNA. Pizza is what we all shared for dinner after the participants had a taste of practicing science in a real lab. Our guests had the opportunity to isolate the DNA from a small fragment of a plant. The fragments were from our plant specimen collection brought from Alaska and were part of the “Barcoding Alaska” project, aimed to identify species of Alaskan wild plants. After sample collection and DNA extraction, DNA amplification using PCR is the follow up step in the DNA barcoding method. The extracted DNA is placed, with the right ingredients, in the PCR machine, to obtain millions of copies of a specific portion of the organism´s DNA. This portion of DNA is what scientist have decided to use as a genetic marker to identify species. To make sure the PCR has been successful, a small sample from the PCR amplified DNA is placed within a gelatin like gel and electricity is applied. The DNA fragments are then separated based on their electrical charge and size. Separated fragments can be seen with the naked eye and will be the proof of success in our PCR. But we are interested in the sequence, or succession of letters that we use to represent the order of chemical compounds that are the building blocs of the DNA strand. We can obtain the sequence of our sample by sending the tube with the amplified DNA fragment to a private company. Sequencing DNA used to be very expensive, but today for a few dollars, in a couple of days, you receive an email with the four letter code sequence that corresponds to the DNA portion submitted. That letter code is our barcode, the genetic information that can be used for many purposes. DNA barcoding was developed around 2003 as a new method to identify and classify species of living organisms. Until then scientist used visual characteristics of organisms to identify and classify them. DNA barcoding is a fast, objective and repeatable method to document the word´s species. Barcodes confirm known species and in some occasions show genetic variations, some of which may lead to the identification of new species. But genetic barcoding is much more than a method to classify species. A revolution has started and new potential applications of barcoding are being found in fields like health, consumer and environment protection. The cool thing is that teachers and students that participate in the Urban Barcode Project are significantly contributing to this revolution. Christine Marizzi is the passionate and dedicated manager of the Urban Barcode Project (UBP) run by the DNA Learning Center (DNALC) at Cold Spring Harbor Laboratory. I met Christine at the European Science Centre (ECSITE) 2016 conference in Graz, Austria. She was in her homeland presenting her work in a session about citizen science. She brought a very much-needed blow of fresh air at the ECSITE conference. While most citizen science projects only allow participants to perform one task within the many required to run a research project, the UBP allows students to conceive, run and present the results of complete research projects that use molecular biology techniques and have relevant applications. This is quite revolutionary even for science centre professionals. 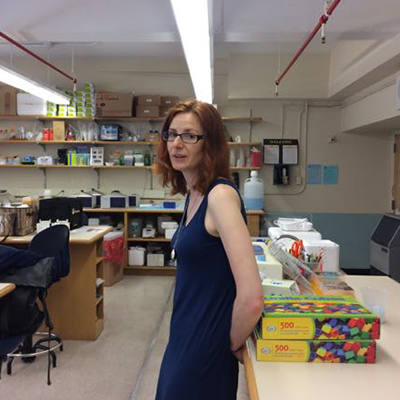 Recently I met Christine again in New York City (NYC) at the DNALC’s Harlem DNA Lab, where several hundred NYC students annually run their barcoding experiments. 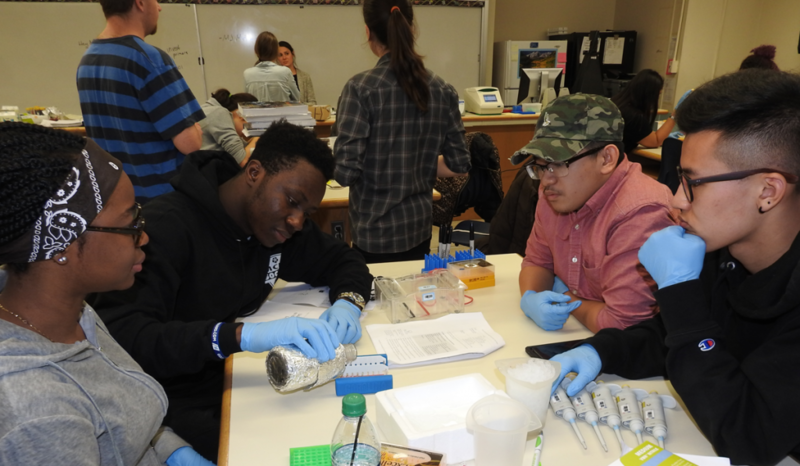 As the project web site mentions, “The UBP is the first large-scale effort to engage high school students using DNA technology to explore biodiversity in NYC. Projects can use DNA barcodes to examine any aspect of the environment, such as: Sampling biodiversity in a park, garden, office, or school; Checking for invasive plant or animal species; Monitoring disease vectors; Identifying exotic or endangered food products in markets; and Detecting food mislabeling”. Projects can use DNA barcodes to examine any aspect of the environment, such as: Sampling biodiversity in a park, garden, office, or school; Checking for invasive plant or animal species; Monitoring disease vectors; Identifying exotic or endangered food products in markets; and Detecting food mislabeling”. The program is designed to give students as much relevant research experience as possible. It is open to all High School students in NYC and offers teacher training as well. Teams of 2-4 students sponsored by a qualified science teacher or mentor must submit a project proposal. Selected teams are invited to participate and given free access to everything they need for their barcoding experiments. 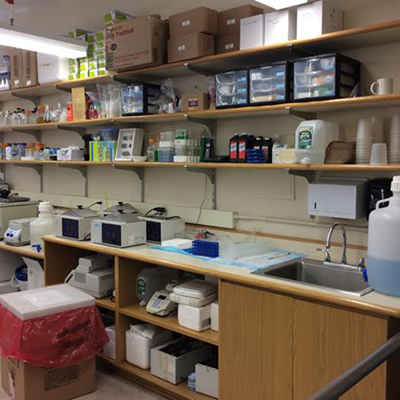 This includes access to reagents and equipment, online sites with background materials and detailed protocols and the open-access online data analysis tool named “DNA Subway”. Students present their results in a yearly symposium to peers and experts in the field and outstanding projects receive a price. The UBP has produced many interesting results. In 2012 students from the Hostos Lincoln Academy in the Bronx used barcoding to identify the content of Ginkgo containing products sold in local drugstores. They found that many of the products analyzed did not contain Ginkgo. Instead they contained rice as cheap filler. This food mislabeling was mirrored in an investigation that led to the removal of fraud products from the stores in NYC. In 2017 students generated barcodes for fish species found in the Bronx River and their database is contributing to environmental research. Working with mentors in the medical field, two students used DNA barcoding to develop a genetic screen that could identify genes that make cancer cells more resistant to chemotherapy. This study may derive in breakthroughs in diagnosis and treatment of cancer. 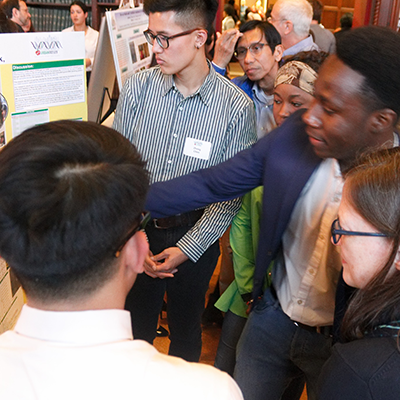 Another group of students took samples to identify virus species in NYC, and discovered a novel bacteria killing virus (bacteriophage) present in rotten food, adding a new potential candidate for future therapies against bacterial infections. We learn science by doing science. Applying the scientific method changes the way our brain works. Makes us more analytical, more critical and imaginative. The UBP is a perfect example of a project that allows students to fully apply the scientific method. It also empowers the students by allowing them to present their own results. The UBP can be replicated elsewhere and my goal is to bring the Urban Barcoding Project to Barcelona and to other locations. Our students and citizens deserve the opportunity that Christine is giving to NYC students.